Late last year, United Nations Secretary-General Ban Ki-moon set in motion proposals for a game-changing global deal that would equitably share responsibility for protecting refugees among the world’s states. The plan, a blueprint for a coordinated global response to large movements of refugees, would address glaring disparities – including that developing countries host 86 percent of the world’s refugees while the richest countries may recognize refugee rights but often do little more than pay lip service to them. A better, fairer solution, where richer countries took on their share of responsibility, was on the cards. But that plan – a Global Compact on Responsibility-Sharing for Refugees – now hangs in the balance. Before the end of July, U.N. member states in New York have the last opportunity to formulate these proposals before they are adopted at a U.N. summit in September. An Amnesty International analysis of U.N. members’ submissions ahead of these discussions suggests that the chance to alleviate this growing worldwide disaster risks being squandered. With some states trying to dilute the agreement to suit their own political agendas, we may end up with tentative half-measures that merely reinforce the status quo or even weaken existing protection. Instead of solidarity, national and regional interest prevails. Instead of courage, we may have an excess of caution. As a result, instead of a breakthrough, we may have yet another nicely worded piece of paper authorizing inaction; business as usual. If so, our leaders will have failed not only tens of millions of refugees and displaced people, but all of us. The varied reasons for this prevarication – by countries including Australia, China, Egypt, member states of the European Union, India, Russia and Pakistan, among others – are overwhelmingly linked to states’ self-interests. Some have been worried about the agreement’s impact on sovereignty or national elections. Some developing nations, whose economies are net beneficiaries of migration, would like migration to be part of a broader agreement, which will now likely delay a final outcome until 2018. Others want to make sure that their policies of deterrence, including locking up children and families, are allowed to continue unchecked. Last year, the U.N. agreed “17 goals to transform our world,” a sustainable development agenda that included the promise that “all human beings can fulfil their potential in dignity and equality and in a healthy environment.” These Sustainable Development Goals (SDGs) promise all people the chance of a prosperous and fulfilling life. The U.N. built on that call with its pledge to respect the framework enshrined in the 1951 refugee convention – as well as a 1967 protocol that extended its influence – while elaborating a new program to address current and future large movements of people across borders. In a report released in May, the U.N. outlined an enduring, globally coordinated framework to help refugees in the long term, in a “safe, regular and orderly” way. However, instead of a historic breakthrough, we could now be facing a historic failure. The millions of refugees languishing – sometimes for decades – in countries often ill-equipped to host them must not wait a moment more. A compromised agreement that doesn’t deliver decisive action would perpetuate needless suffering and put people’s lives at risk. It would also represent a senseless waste of the tremendous human potential of vast numbers of women, men and children. Amnesty International has proposed a five-point plan for U.N. member states to share responsibility for hosting and assisting refugees equitably – according to their gross domestic product (GDP), unemployment and other objective criteria. Such responsibility-sharing could save millions from misery and death by drowning or disease, offering refugees real, safe and legal escape routes from war and persecution. Yet instead of pledging to take concrete measures, states have watered down the original proposals from earlier in the year, and delaying tactics mean there is still no clear timetable for their implementation. Tackling the refugee crisis is completely achievable – the international community has shown it can rise to complex global challenges such as the SDGs and the climate change targets approved in Paris last December. 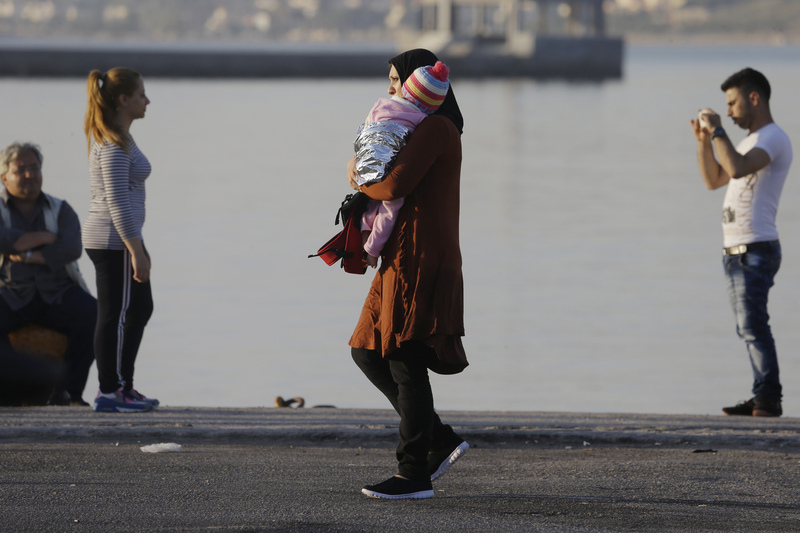 In fact, the global refugee crisis is actually a crisis of leadership – not one of resources. The international response to the Indochina refugee crisis in the 1970s and 1980s showed how the global community, via the U.N., can collaborate to accommodate hundreds of thousands of people. That response showed how richer countries can work together to accept their responsibility to protect refugees. There is not much time left for U.N. member states to act. Do our governments want to be remembered as the generation that squandered this historic opportunity to protect millions of refugees? Or as the leaders who seized the moment, and began a bold new chapter in the history of refugee protection? 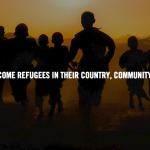 Take action, tell congress to help refugees. This entry was originally posted at RefugeesDeeply. This entry was posted in Refugee and Migrant Rights and tagged Refugee and Migrant Rights, refugee convention, Syria, United Nations by The Editors. Bookmark the permalink. Israel As Safe Haven For Refugees? Not Even Close. Some people might say 'Hey, lets not support those refugees from Syria because some of them might be radical Muslims…', thus lumping all refugees in with the Syrian refugees. What about the Golden Rule. What about if You and yours were the refugees? If the U.S. banned all refugees from Europe in the 18th 19th and 20th centuries, then North America might be occupied by the First Nations -which wouldn't be bad but would've stopped the opportunities for immigration to North America and our current way of life. My understanding of this proposal is that the richer countries of the world, through the United Nations mandates, would support the poorer countries in caring for the refugees. Remember all the boat people who died trying to escape from Vietnam when the ill run war was over there? Death, death and death, not to mention suffering, disease, humiliation and loss of loved ones. Let's all unite to care for our fellow man who is displaced and needs refuge. Child marriage among Syrians is also not new, Child marriage is far from unusual. According to new research from Save the Children, one girl under 15 is married every seven seconds. But it’s a problem felt more acutely by refugees: 6% of Syrian girls in Lebanon aged 12–17 are married, according to UNHCR data.